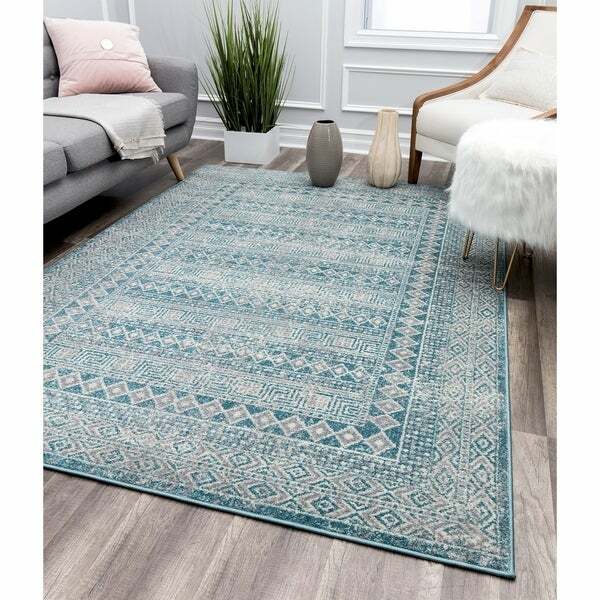 A satisfying geometric pattern and an appealing blue and grey color scheme, make this rug one to remember. Power-loomed and made from polypropylene, it can bring color to a bedroom or serve as the anchor piece to a living room. You're sure to love its durable, medium-length pile that features a lovely shine and a wonderfully soft touch. It's the missing piece your space has been needing. Not the same rug as pictured.